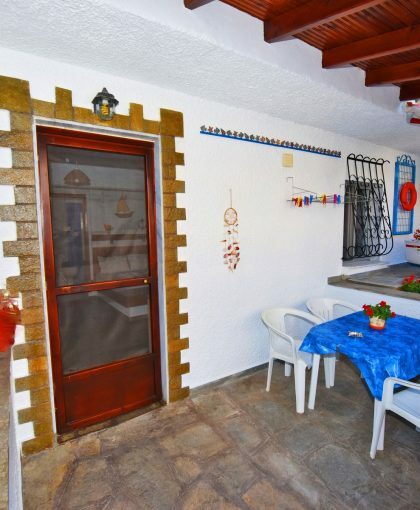 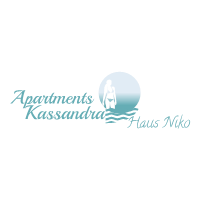 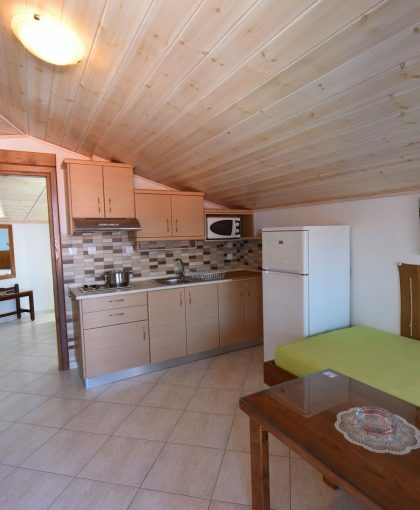 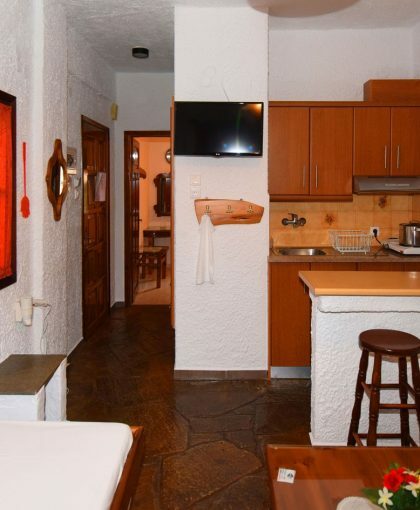 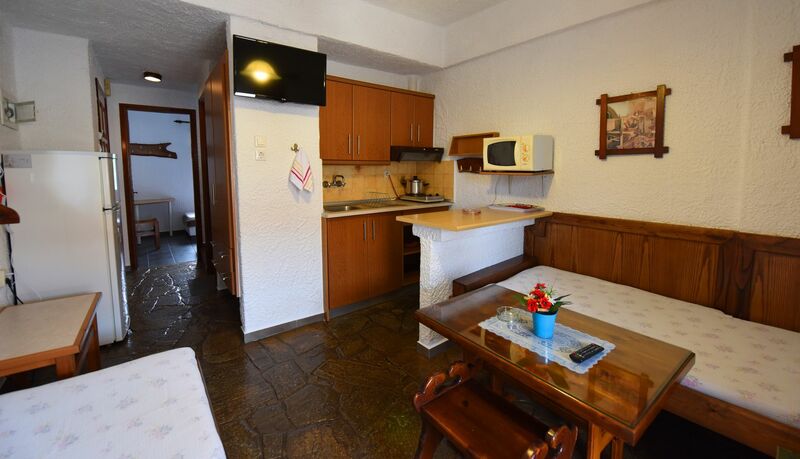 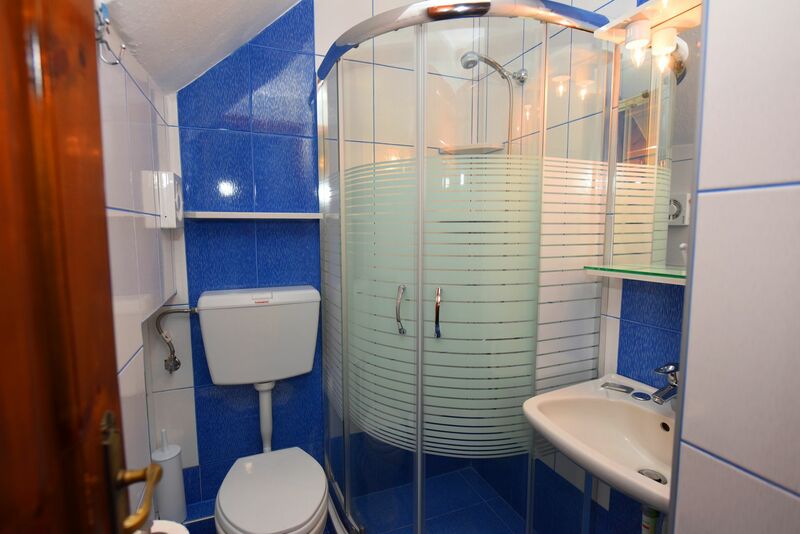 This split level apartment has two levels with 3 rooms, 2 bedrooms and living room-kitchen. 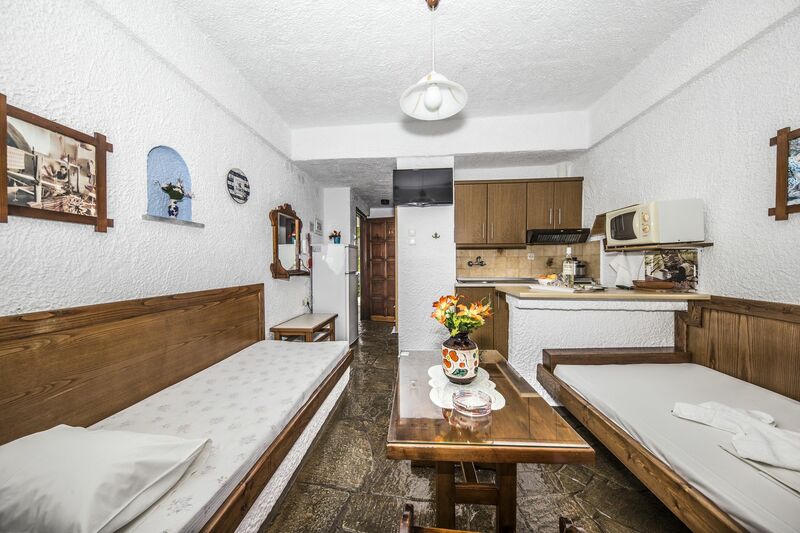 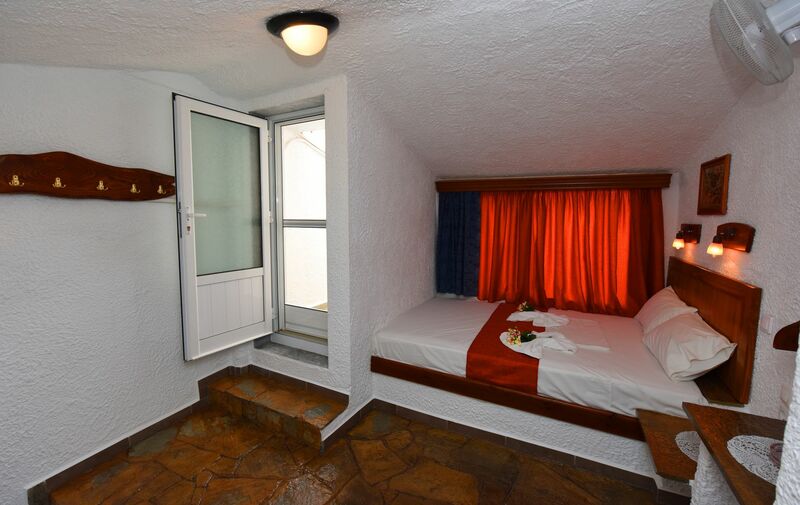 Downstairs there is one bedroom with two single beds. 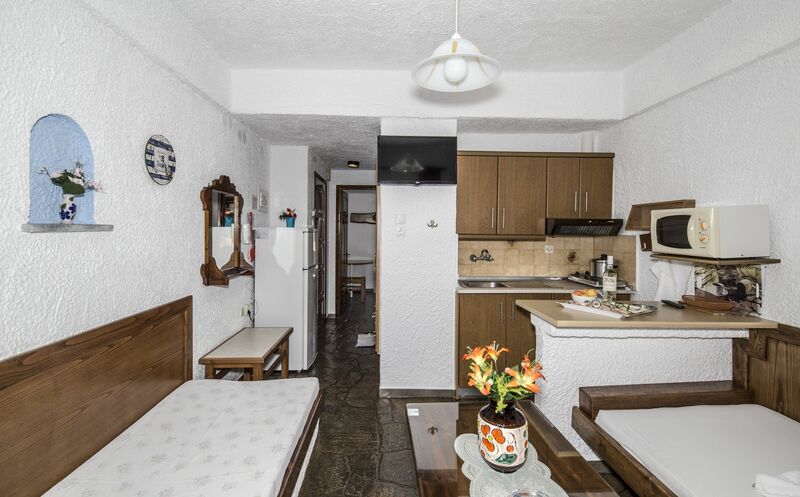 Separate living room with two single beds, kitchen, WC and balcony. 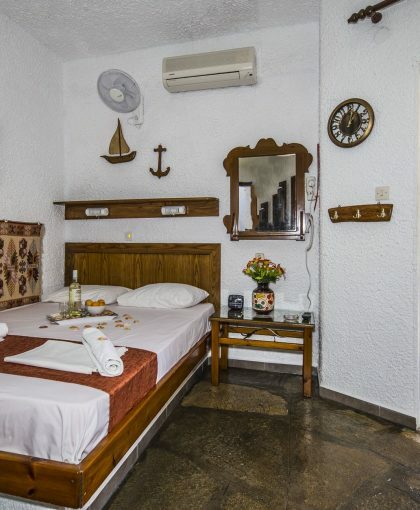 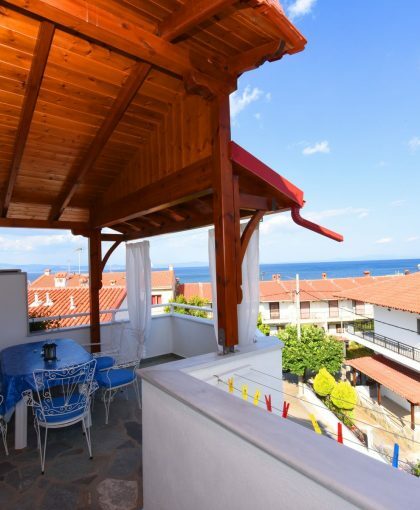 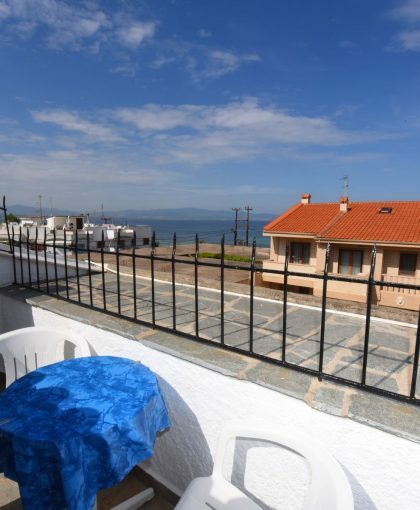 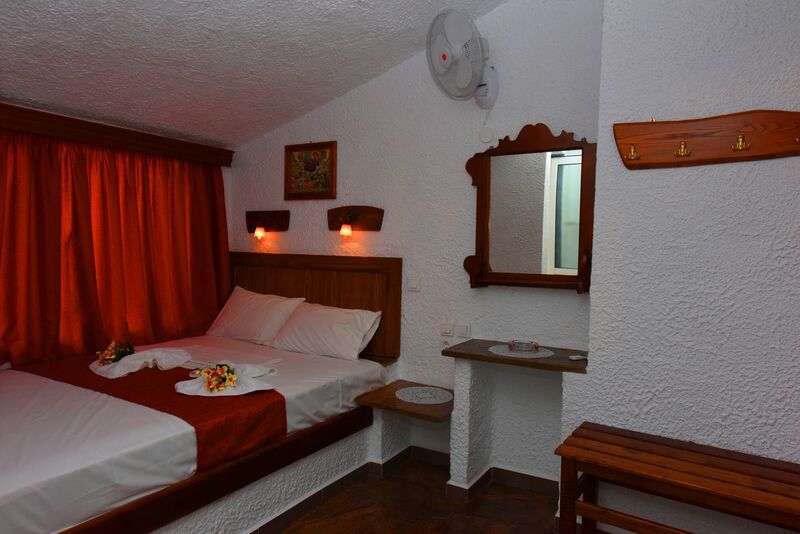 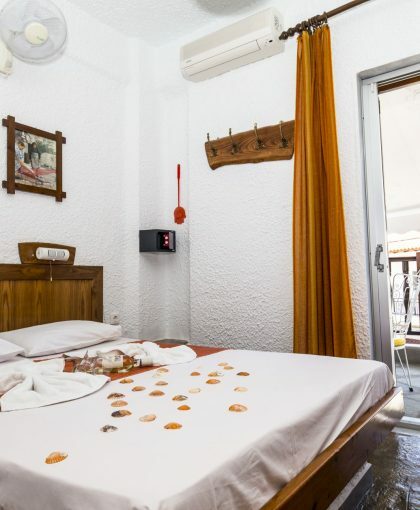 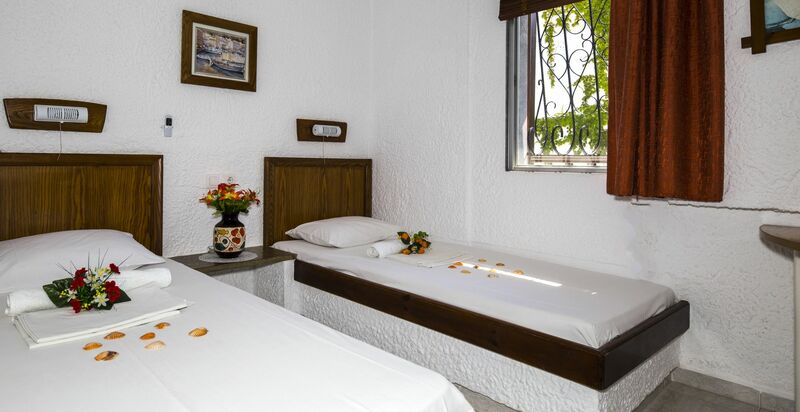 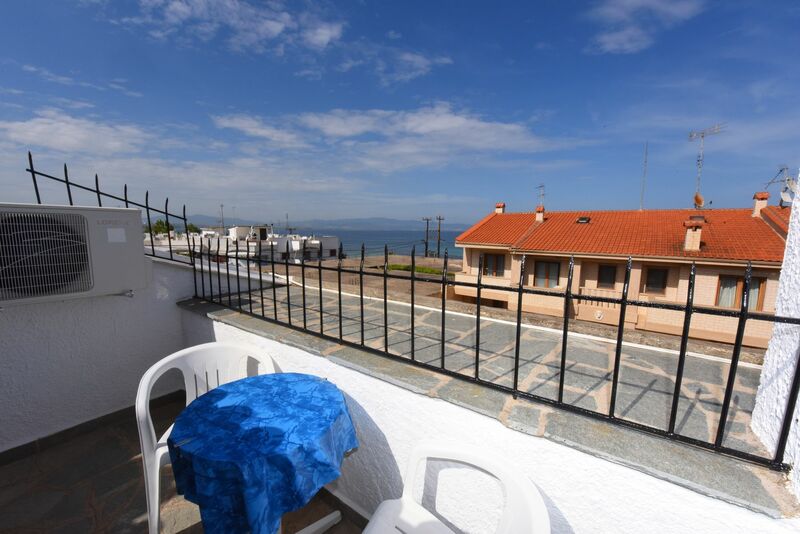 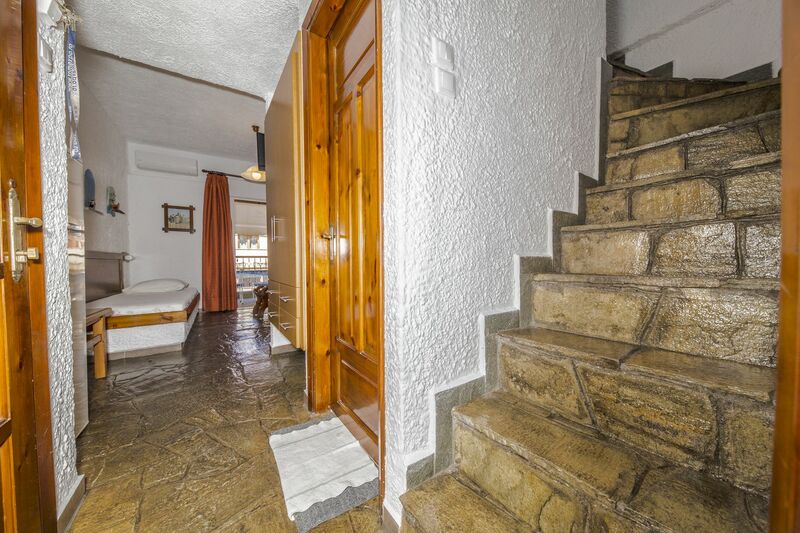 Upstairs there is a second bedroom with a double bed and second balcony with part sea view.